Why keep buying and chucking when you can rent and return? Researchers from Nottingham Trent University explain why community sharing and rental programmes can make a dent in waste. Until the advent of cheap credit and cheaper item costs, for many consumers in the 1960s, 1970s and 1980s rental was the most accessible way of obtaining products such as televisions, video recorders and washing machines that were high cost and frequently required repair. Now we buy cheap and pile high or just chuck out when something stops working – even if we could fix it. The consumption of household goods in Western society is now at its upper limit, so much so that Steve Howard, Ikea’s head of sustainability, said it had reached “peak stuff”. While he was quick to say that this did not contradict Ikea’s target to double sales by 2020, he suggested a break from a prevailing “take, make, use, throw” economic model towards a circular model that encourages repair, reuse and collaborative ventures that share the use of products. At the heart of the circular economy is the sharing economy, in which products and services are leased for a time. It’s about access rather than ownership, and any number of things can be shared, from transport, property and consumer goods (such as tools and kitchen appliances), as well as skills and knowledge. Participation in the sharing economy lets you use under-utilised assets and even spare time to earn additional income. There have been routes to borrowing items for many years – hiring formal clothing for events, for example, or car sharing schemes that are now commonplace in many cities. And despite more recent funding cuts, public libraries still offer access to books, music and films, while big businesses such as Amazon Kindle, Netflix and Spotify mean there is no need to actually own physical, hard copies of media items. But sharing, borrowing and reusing is now becoming something that businesses are actively engaging in. 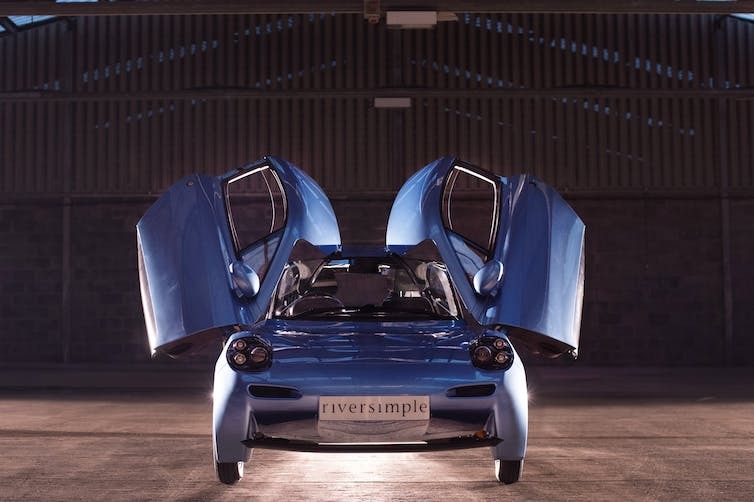 Take the Riversimple Rasa – a hydrogen fuel cell car that has been designed specifically within a car-share business model. After an initial failure, SpaceX’s attempts to recover and reuse its Falcon 9 booster met with success, and in 2017 one recovered booster was used to launch a communications satellite. Rival company Blue Origin is also developing its reuseables. It means that in the age of space travel, we may already be taking advantage of cheaper, recycled technology. Back down to Earth, local community schemes have the potential to share expensive and rarely used items and change the way household goods are consumed. Grassroots examples include the Library of Things in London, a community business providing low-cost access to items such as DIY tools, sewing machines, camping and gardening equipment, carpet cleaners, projectors and musical instruments. While sustainability is at the heart of the project, which resists an own everything, throwaway culture, the library is also a social space with a practical purpose. It reinvents the traditional models of renting, swapping, bartering and gifting, and also offers a place to meet and learn new skills through classes, workshops or one-to-one instruction in cooking, sewing, furniture making and general DIY skills. This kind of scheme empowers people to use the items they borrow and to do things for themselves. And given that the average electric drill is in use for just 15 minutes each year, and is kept in storage for the rest of the time, it’s clear that many “household” items don’t really need to be owned at all. And sharing or borrowing means a better environmental impact. The right to ownership and property is deeply rooted in Western culture for reasons from social status to convenience. Nevertheless, increasing the number of items that are leased or rented is feasible – the sharing economy offers financial savings and access to better quality goods in the short term, while reducing people’s personal carbon footprints, and in the case of projects like Library of Things and repair venture, Restart, a greater sense of community and skills sharing. Established businesses may see these enterprises as a threat to their business models. After all, if consumers share or rent things, this might impact on sales. However, it could instead incentivise manufacturers to produce more reliable, durable products which they would retain ownership of and lease to consumers, remaining responsible for maintenance and replacement costs. This would mean further incentives to design and produce longer-lasting, reliable products which could easily be repaired or re-manufactured and passed onto less demanding customers at a lower cost. Sharing as part of a circular economy promotes better efficiency in materials, which reduces the lifetime carbon emissions of products that are designed and maintained for optimum life spans and used more intensively. It allows for a growth in consumption without the corresponding demand for resources. This is one area that needs addressing if we are to stand a chance of reaching the targets set in the Climate Change Act and meeting commitments under the Paris Agreement. Christine Cole is Research Fellow, Architecture, Design and the Built Environment, Nottingham Trent University and Alex Gnanapragasam is Research Fellow in Sustainable Consumer Behaviour, Nottingham Trent University. This article was originally published on The Conversation.